For the last 38 years I am continuing composition of books/texts in the area of farm journalism. Besides farm journalism I write script for farm speeches telecasted in All India Radio “Vayalum Veedum” (Home and farm) programme. In this I conduct discourses with agricultural scientists and answer the questions/doubts of farmers. I have completed composing 146 books related with agriculture and science and still continuing. In almost all the villages of India, scientific method of cultivation is not adapted. This is the reason for the poor production of agricultural crops and diseases caused of by insects and pests. In a wide country like India it is not easy to inculcate scientific methods of farming reaching each and every remote village. Writing columns in newspapers/dailies and conducting discourses in AIR started as a sole solution to this. By contacting Krishivijana Kendras in India, I write columns in newspapers, agriculture magazines informing the farmers about weather reports, sharing the farming methods of ideal farmers and about the high quality seeds, farming devices/equipments/seeds produced by Government Agricultural Research Centres. I am conducting classes propogating knowledge among farmers to produce value added products from coconut trees and also encourage common farmers in using coconut climbing machines developed by coconut development board. I write columns meant for promoting agriculture along with pictures about those who cultivate plants on terrace, vegetable cultivation in the school compound kitchenyard cultivation by housewives, cultivation by jobassured villagers, vegetables in sacks and pots, vegetable cultivation in police station compounds releasing the tension of policemen.In the field of cattle rearing, much expense is met for fodder. Milk production can be made profitable only by making available very good quality fodder at a reasonable rate. The same is the case with rearing egglaying hens. For this I propagated the idea of giving Asola fern to egglaying hens and cows for enhancing egg and milk production for the first time through journals. More over I conduct demonstrations at several farms for the benefit of the rustic farmers. I also publish articles in agricultural texts making the youth of the new generation to turn to the field of agriculture, for that modern agricultural methods like soil testing, waste water management, rain water harvesting, bio compost production, bio pesticide manufacturing using plants (eg. Neem, Holybasil, Tobacco etc. ), drip irrigation, sprinkler, compost production using earthworms, destroying enemy pests using friendly insects, electric trap, banana/fruit trap, Bordeaux mixture production, production of panchagavya. I extend my service to the farmers on different projects, like short term and long term cultivation, different insurance schemes for the loss of crops due to natural calamities, the way to obtain insurance amounts, apt cultivation suiting a place, climate and soil and different projects under state and central governments. I also write features on encouraging waste utilization by making and selling of handicrafts made from useless parts of trees like coconut, arecanut etc. Thus I published books containing projects which benefited it thousands of laymen to get additional income. I have written several articles on planting methods, bio pesticide application, harvesting, seed collection etc, of fruit bearing plants like plantain, pappaya, mango, guava, rambuttan, cherry etc. Moreover I have written a book titled “Fruit Crops” for knowing such cultivation in detail and also publish articles about those farmers who succeeded in such cultivation. “A Garden in Each House” is a column, I continued writing for ten years making mothers and children to make use of their leisure time and find an income through floriculture i.e; rearing (bush) jasmin, marigold, tuberose etc. I also publish articles on how one can collect cross breed seeds, its scopes and availability and also the ways of getting subsidies in this field. Twenty one years ago in my farm I crossbred lima beans with Vellayani beans which resulted in a new bean having one meter length. I am still distributing the seed of this bean to the farmers of different states in India. In order to encourage mingled farming, I wrote articles in Coconut Journal published by the Central Government. In it the cultivation method of. 30 crops like plantain, Vanilla, Vegetables, tubers, pisciculture, apiculture, pepper cultivation, coffee, ginger, turmeric, Allspice etc. I write several articles on pappaya which is known as poor man’s vegetable, besides published a text on pappaya cultivation. I am propagating among farmers the infinite scope of pappaya like its immunity power against worms, fever, and the sap extracted from it can form the ingredient of more than hundred items which has extensive possibilities in market abroad. I was able to write 3210 agricultural articles in different dailies and monthilies in India. An article gets published in newspapers having about 10-15 lakh copies, thus 3210 articles in total made 48,15,00000 (fourty eight crore fifteen lakh) readers in the country. I was able to present before small scale farmers, Kopra dryer (Kernel of coconut) which can dry coconut in any weather. I used to publish about this in Coconut Development Board’s journals, lakhs of coconut processing units came to know about this and installed Kopra dryers throughout India. I was able to make farmers aware about how they could pluck jack fruits, mango, chennaijack fruit, without climbing the trees using mild equipments and their models through agricultural coloumns. Such machines do have a greater role in the lives of people leading retirement life, those who are issueless and where it is difficult to find labourers. During rainy season the water gets turbulent in rivers, farm lands and near by wells, as a result pure water becomes difficult to find. Adding a paste of drumstick seeds to the muddy water in wells will result in making it clean drinking water with in minutes ‘Muddy water yet drinking water’ an article I wrote brought much praise from the press for it solved lakhs of Indians drinking water problem. ‘Water a boon’. 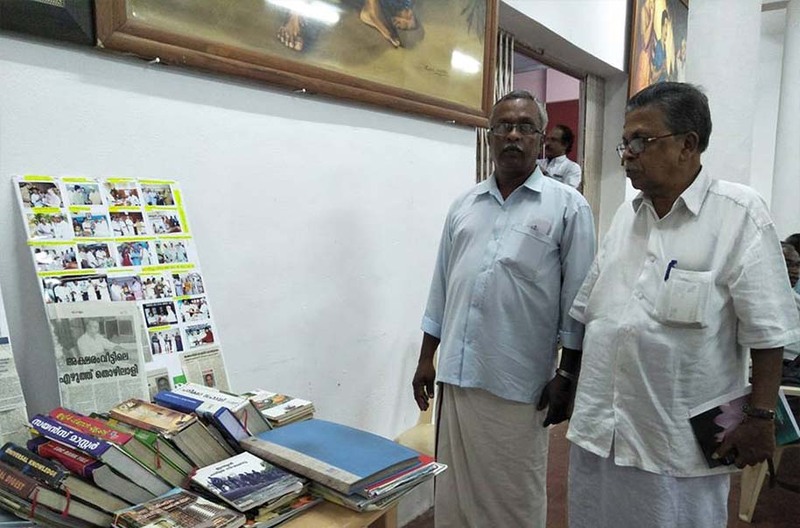 A book published with the help of Kerala Cultural Development sold two lakh twenty seven thousand copies in 81 editions. Fuels are day by day diminisining withering leaves under the trees can be turned to plywood like form using hydraulic machines and such leaf wood could be used instead of wood. Features explaining this style of fire wood (leaf fuel) caught attention in the science congress held at different parts of India. Articles on soilless farming (hydroponics) vegetable cultivation and piscitulture running at the same time (aquaculture), brought much transformation among farmers. 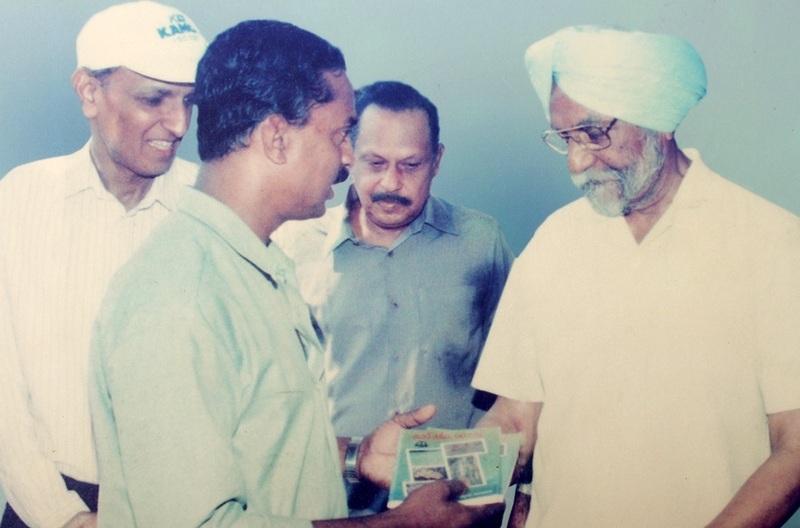 Under ground cellars, coming generations, seed banks published in journals in Kerala, high lighting the necessity of seed banks gained much appreciation among agricultural students and research fellows. ‘Agricultural dictionary’ a hand book (Malayalam-English-Hindi) is useful alike for farmers agricultural students and agricultural officers of several states. I am indebted to Kerala cultural department for the financial help with which the publication of the agricultural dictionary became a reality. I have also published a handbook on seed expertise, soil expertise jungle expertise for the students. In 2001 I wrote an article titled “Be aware of alien trees” in Aaranyam monthly published by Kerala Government Forest Department. In it I specified planting trees like eucaliptus, acacia, manjiam, mahogony etc which came from foreign countries, would drain the water from the soil resulting in the scarcity of drinking water Recently the state and central governments admitted that this is a fact and was pointed out by the media. Karshaka Bharathi award is given to agricultural journalists for the comprehensive contribution in the field of agriculture in Kerala, working in agricultural department or related sections publishing more than 1000 agriculture related articles answering farmers’ questions several times in agricultural programme of All India radio taking classes (2817) in different seminars on agricultural subjects and for conducting debates and discourses. I got this award. Publishing books like agricultural encyclopedia, agricultural dictionary, handbooks on how to cultivate plantain, coconut, vegetables, vanilla, pappaya etc. led to getting Karshaka Bharathi award. The prize contained Rs.25000 one sovereign gold, a certificate of appreciation and a plank. 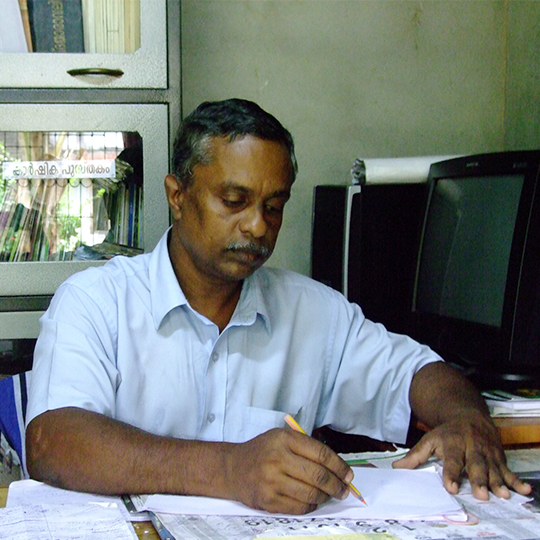 Until 2009 I completed 83 books, Bishop Pereira award was for writing maximum educational books in kerala. Pisciculture, Pappaya cultivation, vegetable cultivation, fruit bearing plants, rank files for PSC exams, agricultural dictionary, agricultural encyclopedia etc caught the appreciation of jury members. 1) Dr.B.R.Ambedkar award of All India Confederation of SC/ST organization. This award was conferred upon me on the birthday of Dr.B.R. Ambedkar on 2016. On that day eight members of, Ambedkar Centre of India in different areas, was given awards. It was after analysing media work in different agriculture sector. I was selected for this award in 2016. The content of the articles selected for the awards by the Indian Veterinary award was to show mercy to living creatures. I got IVA’s special jury award in 2002 for the article written in the title “The inmates of the house of love”. It was about a student at Uriyacode near Kattakkada, who reared tortoise, rabbit, cat, dog, Guiniea pig and different types of birds. He brought hone his humble creatures found deserted and met with accidents in the streets and after giving care and good food and released them on attaining good health. The touching article about this young fellow led to attaining this award. 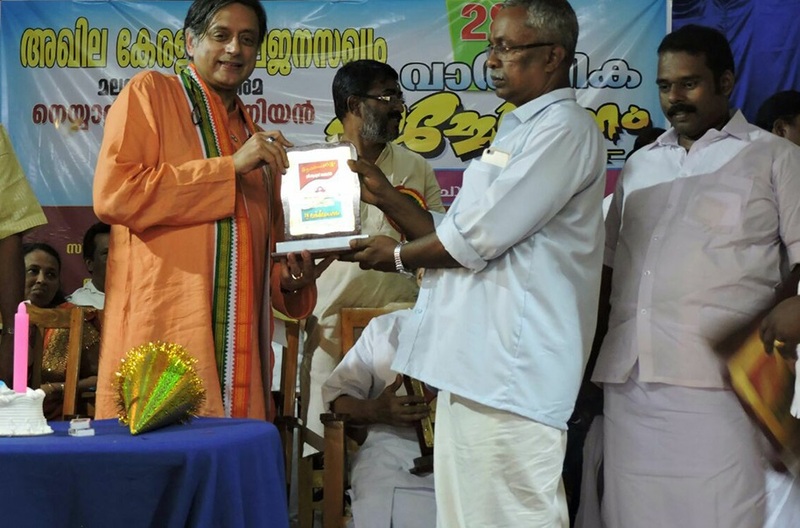 The award was given for the article published in the daily Madhyamam tittled “Mercy shown by Quails”. In a quail farm at Vettikuzhi near Pappanamcode a suburban town of Thiruvananthapuram, a thief used to steal vessels from the farm. This thief later turned to rearing quails and found an income. This published in the daily ‘Madhyamam’ interesting report enabled me to get IVA’s farm journalist award 2005. “A thief every year gets in to the quail farm 2 or 3 times and stole aluminium vessels used for keeping fodder and sold it for a price. Each time when he entered the farm he noticed the number of quails multiplying rapidly. One day on broad day light he visited the farm and enquired at the farm owner about the rearing of quails. When he understood that rearing quails is a lucrative means of making money he stopped stealing and began quail rearing in a humble manner. Within years he had a place among the noted quail rearers list in Kerala. I was able to propagate through dailies All India Radio and other means the modern technical skills, most modern techniques, I gathered visiting the different states in India sharing with farmers in other districts. Propagating the idea of making different types of compost using the remains of vegetables enabled the farmers abandon chemical fertilizers and instead using biofertilizers encouraging farmers in such a way made them to save money, health and enhanced the living standard of them. The quality of the soil is measured by the quantity of micro organisms found in it. The usage of bio-fertelizers and biopesticides retained the quality of the soil. The presence of earthworms is seen multiplied in the soil, this resulted in the increase of crops in the fields. The articles I wrote in different journals on “Don’t waste Jackfruit” 17 years ago led people to make use of the local fruit a value added one and now gaining foreign money to our country Making use of over ripened vegetables as the raw material of paper pulp strengthened paper pulp industry. The several articles on making natural colours from the juice of carrot and beetroot made bakers to avoid artificial colours which led to the healthy production of bakery items and there by the health of the people. The articles on the production of quality cross bred saplings through tissue culture led to the increase in their production, Hundreds of articles published in several journals led to the increase in the production of Alleppy turmeric, Pepper, medicinal plants like Arogya pacha, Paddy breeds like Basmathi, Gandakashala, Geerakasala etc. The above mentioned are some of the achievements I had by incessant journey through the villages of India. 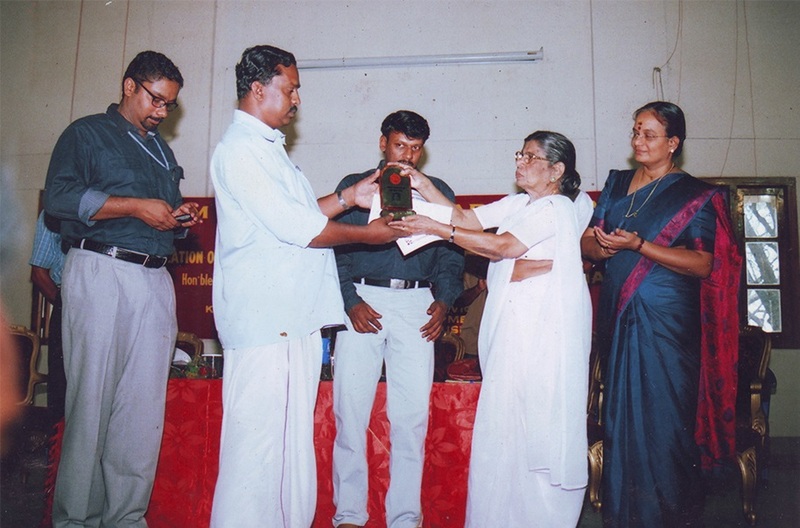 K. R. Gowri Amma, Ex Agriculture minister of Kerala presenting the award "The best Farm journalist Award" (Indian Veterinary association). The Prestigious Award is Proudly Presented to Mr. Benjamin By Sri. M.A Baby(Hon: Minister of Education). Dr. Babu Paul I.A.S (Ex. 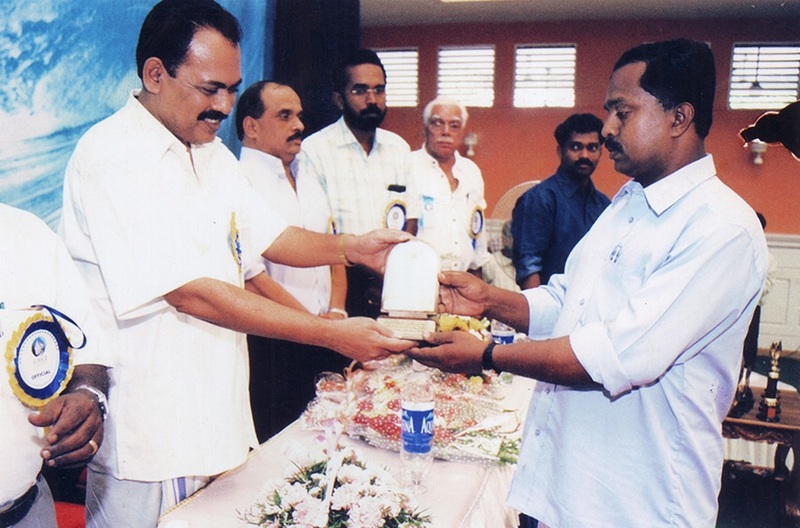 Chief Secreatery, Govt:of Kerala) Distributed award to Mr. Gracious Benjamin in the pesence of Sri Mathew T Thomas (Ex. 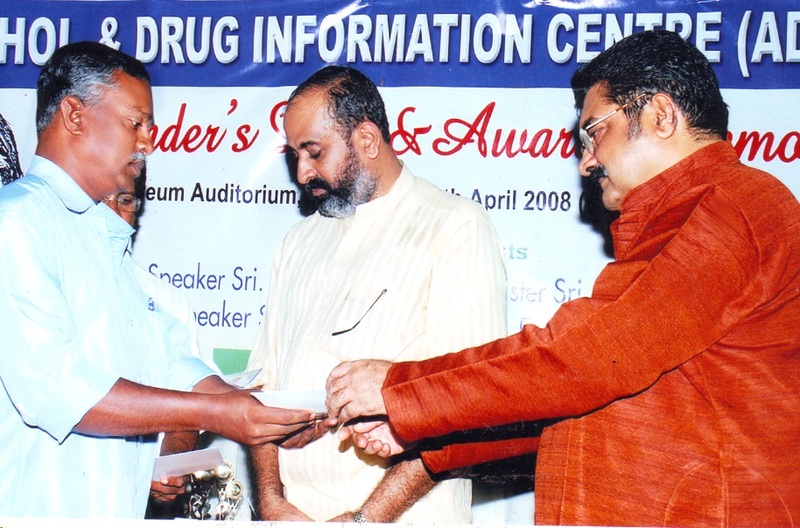 Minister of K.S.R.T.C) and sri Johnson J edayaranmula (Director; ADIC-India)on 09.04.2008. Dr. Sebastian Paul Ex. M.P presenting the award to Mr. Gracious Benjamin "The Best Farm journalist Award" (Indian Veterinary association). Smt.Tinku Biswal IAS presenting the Award to Mr. Gracious Benjamin "The Best Farm journalist in State Award" (Karshaka Bharathi Award). Sri. 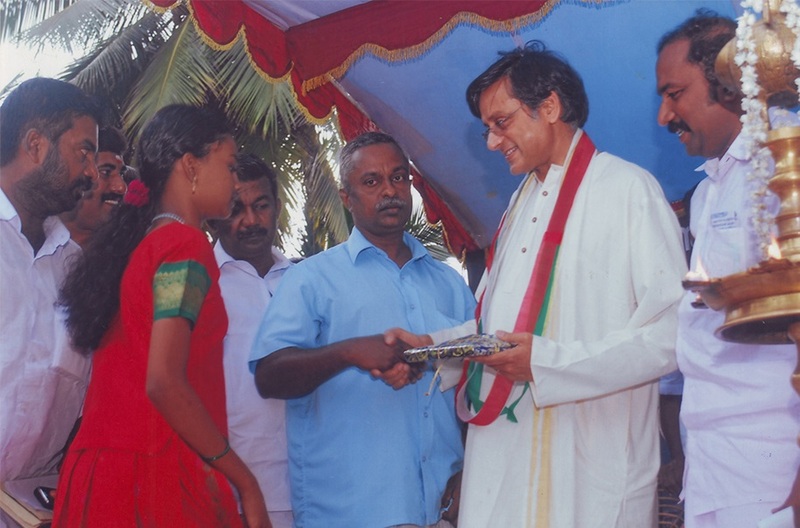 Sasi Tharoor M.P Awarding "Prathibha Puraskaram- 2018" to Mr. Gracious Benjamin. Mr. Gracious Benjamin receiving the Akshara Jyothi Puraskaram. 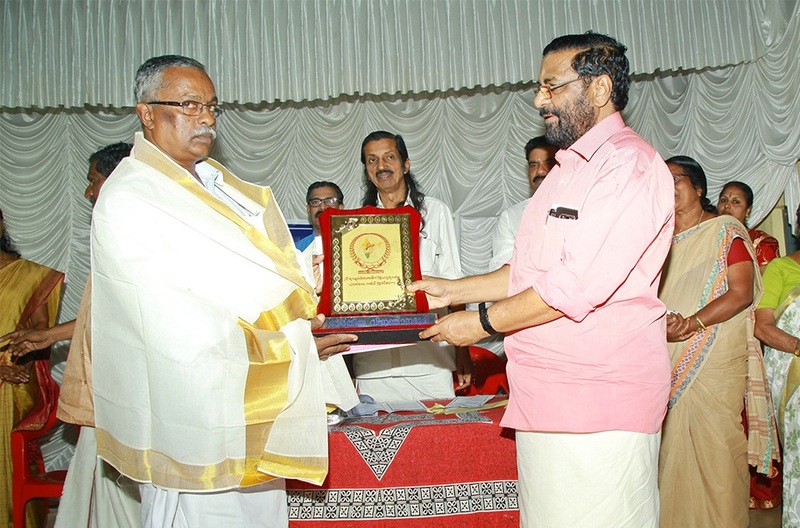 Karshaka Bharathi award is given to agricultural journalists for the comprehensive contribution in the field of agriculture in Kerala. 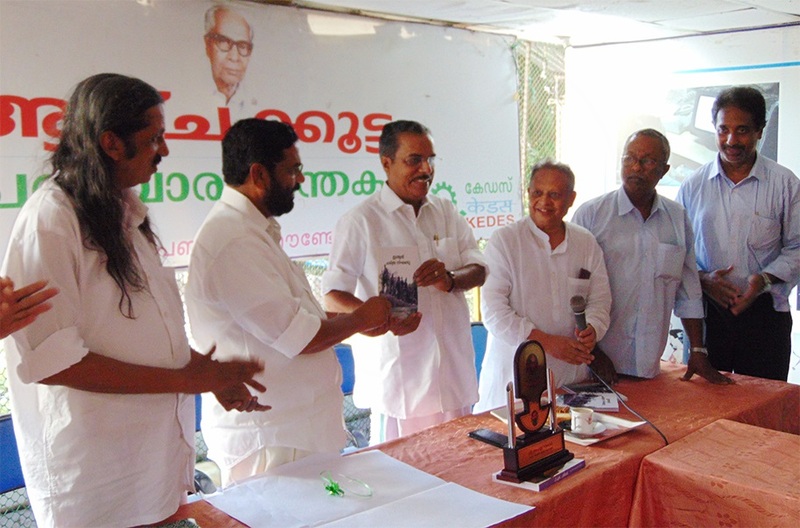 Bishop Pereira award was for writing maximum educational books in Kerala. The award was given for investigative reporting conducted among scheduled castes and scheduled tribe people. It was for the reporting on a harijan woman named Ammu, whose style was rearing Goats without any cage. It was after analysing media work in different agriculture sector. I was selected for this award in 2016. 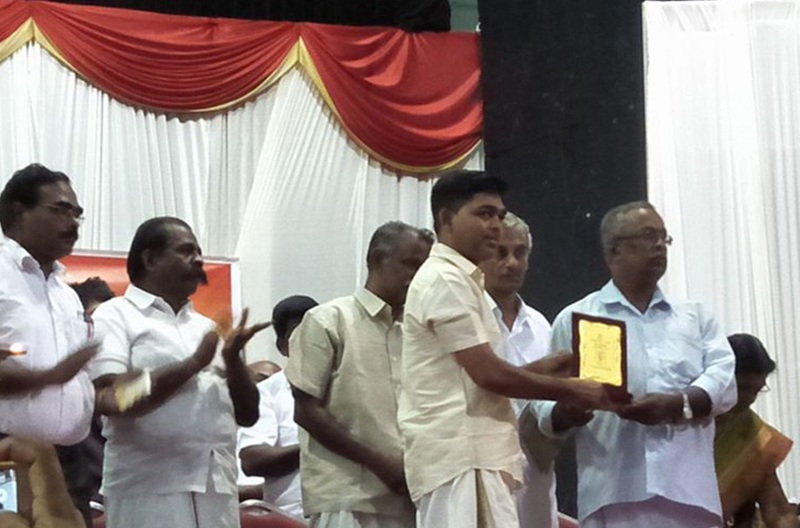 The award was given for the article published in the daily Madhyamam tittled “Mercy shown by Quails”. എഴുത്തിനുള്ള സമ്മാനം ഒരു അഭിമാനം തന്നെയാണ് .അഭിനന്ദനം. Ex Governer of Kerala Justice.SukhDev Singh Kang receiving my first book "Karshika Guide"
Kerala Governor Justice P. Sathasivam Receiving My 156th Book "Science Master"
Former Kerala Speaker Late: Sri.G. Karthikeyan Releasing my Book "Science Master"
Late. Sri.G. Karthikeyan Inaugurating my Exhibition of All Books. Ex Kerala Minister Sri. 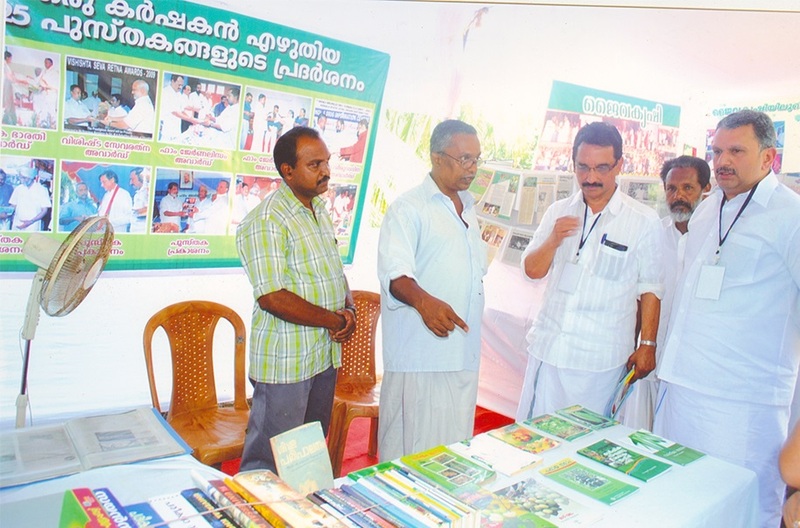 K.P Mohanan visiting the Exhibition of my books. 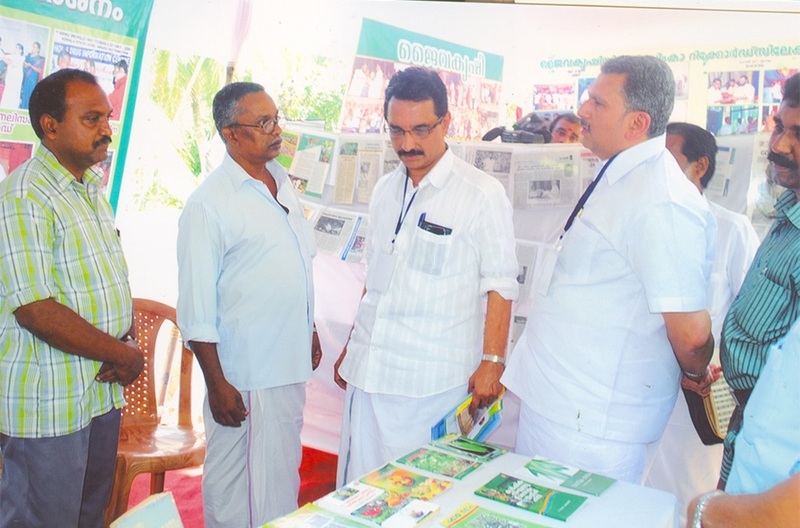 K.Muraleedharan MLA visiting the Exhibition. Exhibition Show Stall Visit Late: Sri. 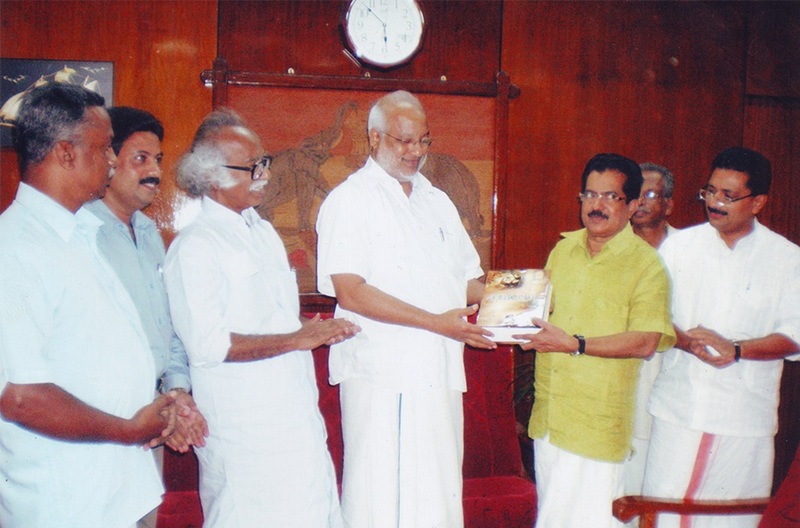 G. Karthikeyan, Reading the Book "Charithra Vinjana Kosham"
Chief Minister Sri. 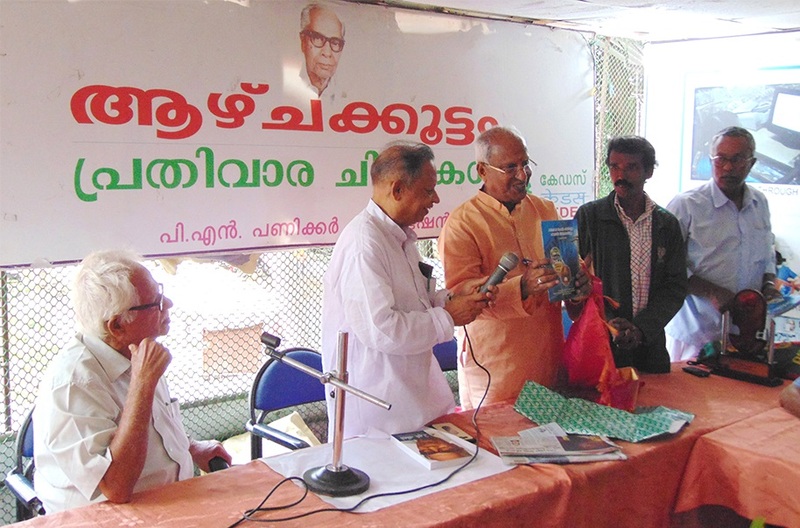 Pinarayi Vijayan Receiving my Book "Paristhithi Vinjana Kosham". Ex. Chief Minister of Kerala Sri. 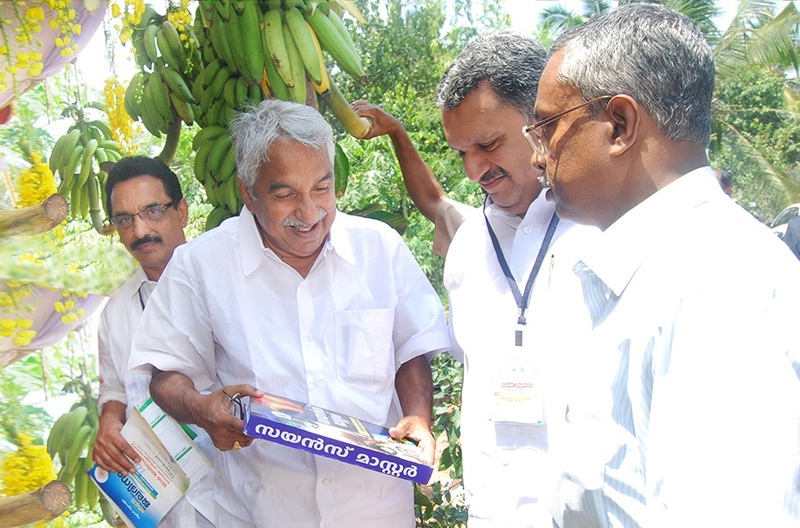 Oommen Chandy Receiving my Book "Science Master"
Speaker Sri. P. Sreeramakrishnan Receiving my Book "Kuttikalude Charithra Vinjana Kosham"
Sri. 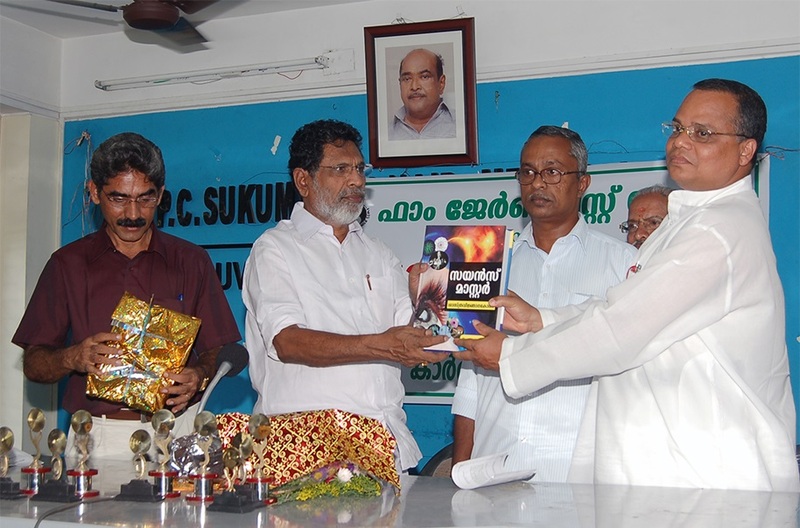 O. Rajagopal M.L.A Releasing My book "Sarkar Sahaya Padhathikal"
Sri. Sasi Tharoor M.P Releasing my Book "Awardukalude Lokam"
Ex.Education Minister of Kerala Sri. M.A Baby Releasing my Book "Charithra Vijnana Kosham"
Sri. 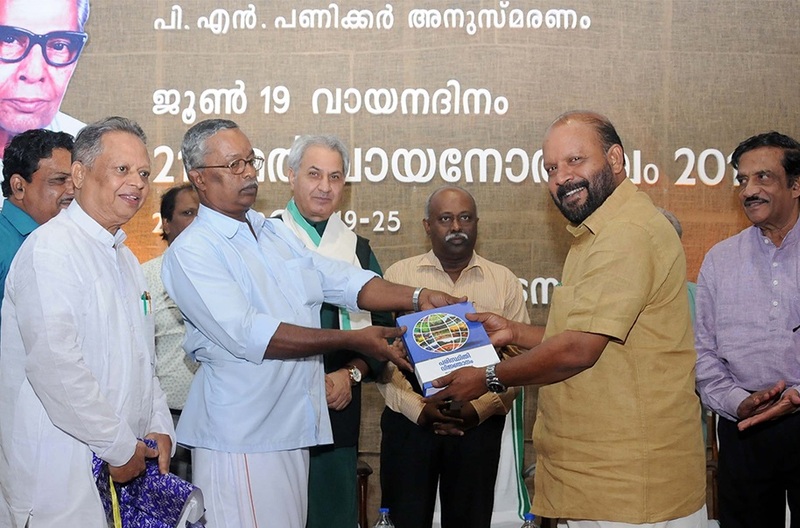 Kadakampally Surendran Minister of Kerala Co-Operation, Tourism and Devaswom, Releasing my Book, "India"
Agriculture Minister of Kerala V.S. Sunil Kumar Releasing my Book "Paristhithi Vijnana Kosham"
The Prestigious Award is Proudly Presented to Mr. Benjamin by Sri. M.A Baby(Ex Minister of Education). Dr. Sebastian Paul Ex. M.P presenting the award to me "The Best Farm journalist Award" (Indian Veterinary association). Smt. 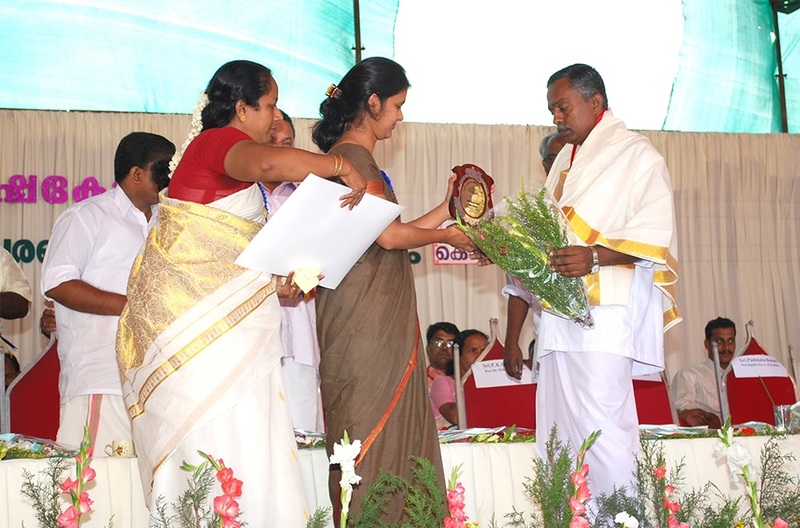 Tinku Biswal IAS presenting the Award to me "The Best Farm journalist in State Award" (Karshaka Bharathi Award). Sri. 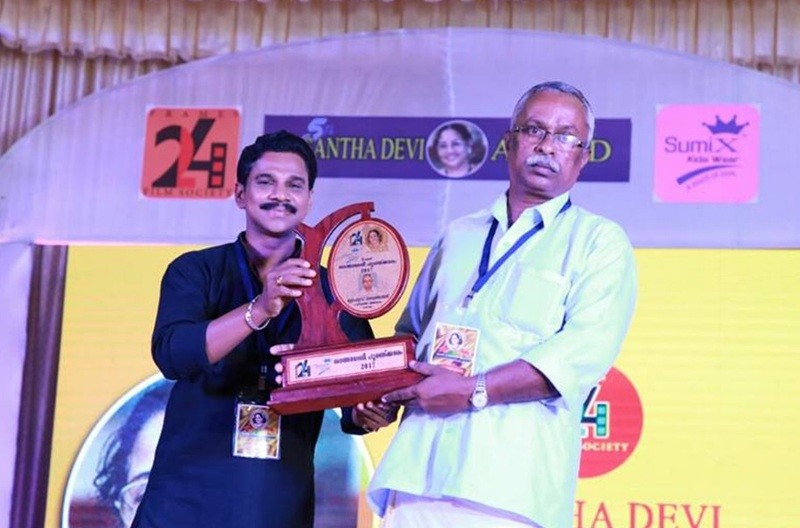 Kadakampally Surendran Presenting the Award "Aacharya Sreshta Award". Mr. Gracious Benjamin receiving Santha Devi Environment Award 2017.